The CU Executive MBA is a flexible, rigorous program designed to be completed in less than two years while still working full-time. Over the course of two nine-month academic calendars that begin each September, classes meet every other weekend on both Friday and Saturday. Each class day is broken into a morning and afternoon session of three-and-a-half hours each, with a break for lunch. The program is typically completed in 21 months. There are multiple versions of the same EMBA program, provided at all three of the Colorado University campuses. In addition to eight consecutive class terms, the EMBA also includes professional modules and experiential learning opportunities. After term 2, the class travels to Northern India for their first of two global immersion trips, followed by an Executive Development Workshop. After two more terms, the class travels to China for the second global immersion trip and follows the trip with professional development days, and then two more terms. Prior to term 7, students partake in the Global Context of Business Executive Workshop, then the final eighth term, and another Global Business Experience trip. This combination of classroom work, experiential learning, and two-week breaks between classes while maintaining a full-time job allow students to constantly apply their academics to real-life business issues. An estimated 127 students are enrolled in the CU Denver School of Business EMBA program. About 61.4 percent of those students are male, while 38.6 percent are female. Students in the program are, on average, 39-years old, have 18 years of previous professional work experience, and 14 years of previous management experience. The average class size features 28 students. Departing from traditional MBA career services, the CU EMBA partners with Right Management, a career optimization group with more than 30 years’ experience. Right Management’s approach focuses on a flexible, individualized career plan for each student. Utilizing professional career coaching, professional assessments, hands-on learning, proven resources, and interactive training, Right Management is able to offer EMBA students a level of career preparation fit for only the most experienced management professionals looking to customize their future. 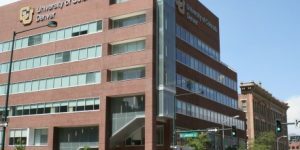 The current tuition for the 21-month CU Denver Business School Executive MBA is $10,250 over eight installments, totaling $82,000. This fee includes all tuition and fees, all course materials, morning and afternoon refreshments on campus, and travel and lodging during the required 10-day international business trip. Tuition is billed in eight equal installments of $9,950. There are several options to help finance the EMBA, including employer support, business school grants, federal loans, and private loans. Additionally, the school offers limited numbers of scholarships: merit-based, not-for-profit, and affiliation scholarships. A completed application for the CU EMBA program includes a minimum of eight years of professional experience (though the school notes preference for ten or more), official transcripts from all institutions attended, two professional letters of reference and a self-recommendation, and a résumé. Students may submit an optional GMAT score, and the school notes that a GMAT is strongly recommended if the rest of the application is academically weaker. Interviews are required for all candidates before final selection, on an invitation-only basis. Applications to the CU Denver Business School Executive MBA program are reviewed on a case-by-case basis throughout the year, depending upon the time in which they are submitted.